It was clean and the breakfast was very good. Not easy to find on the dual carriage way but once there does exactly what it says on the tin. So great. rien a redire.personnel très agreable. The room was exactly what I booked. The only problem is that in the second day I don't have the towel for the third person, I had to go to the reception to get the towel. Friendly personal. Big clean room. The hotel is on a quiet palce and have a nice garden with big parking lot. I was very impressed. Dont get me wrong the hotel is a little tired, but in fairness represents the price. The staff were fabulous and super helpful, the room was clean tidy spacious and the child cot provided even came with sheet and extra matress. Ideal for an over night stop. We certainly say if you're looking for great value and somewhere to rest your head it's ideal. Receptionist was exceptional - can remember her name - went out of her way to source two ground floor rooms with a n interconnecting door when she saw one of our party was walking with a stick. Great rooms - slightly tired but they had Baths !! Good location & good value room for one night. Good stay and helpful service from the Hotel staff. 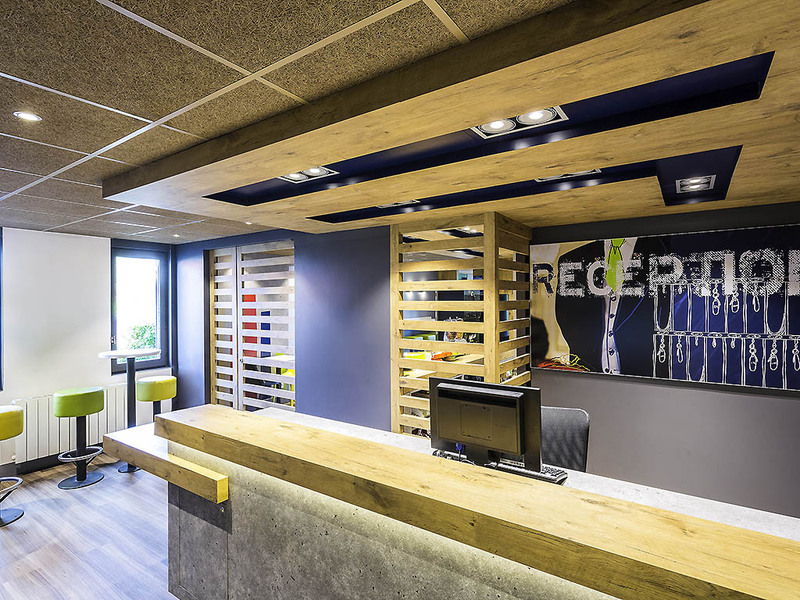 It was a perfect experience in a cheap and cheerful hotel, that was immaculately clean, and featured a friendly staff and a typical French breakfast. Everything was as it should be. Fine. The check-in automatic needs better instructions. The staircases, the hallways are all fine. The rooms are quiet, might have some reading material like a monthly guide. The channels over 800, which are advertised did NOT work properly. Front desk staff was excellent. We asked several questions, and they were always helpful and eager to help. Room was clean and comfortable. Good and clean room. The hotel has nice surroundings and close to a shopping center. The personnal is frienly and speals a little English. The WiFi was good, but only a little slow during evenings. Teh hotel lays central to reach fast Lamor Plage.and Saint Louis.